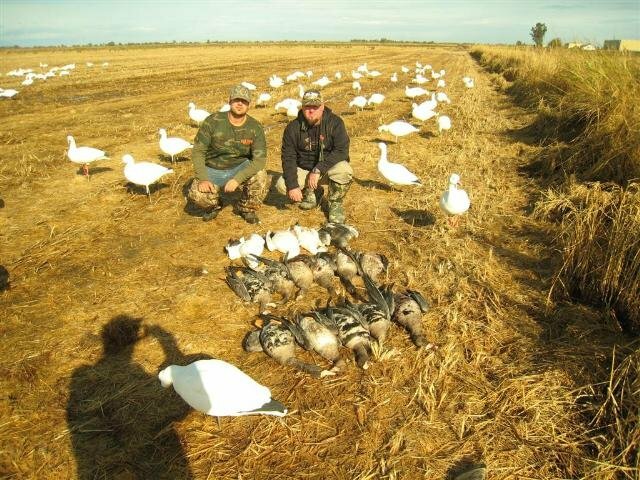 Come join us for Snow Goose and Speck Hunting at its finest. 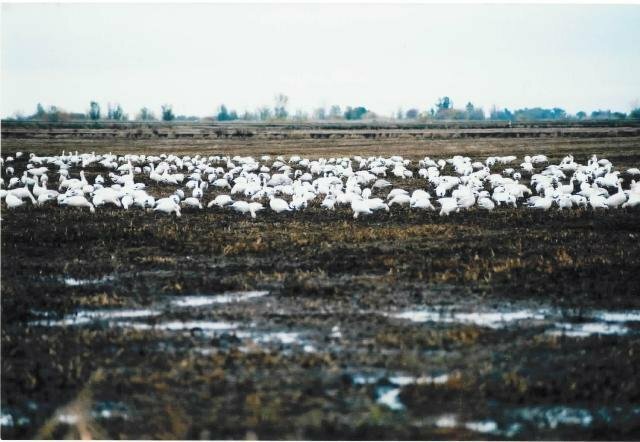 Located between the Sacramento and Delevan Refuge, in the Pacific North West’s Fly-A-Way zone. 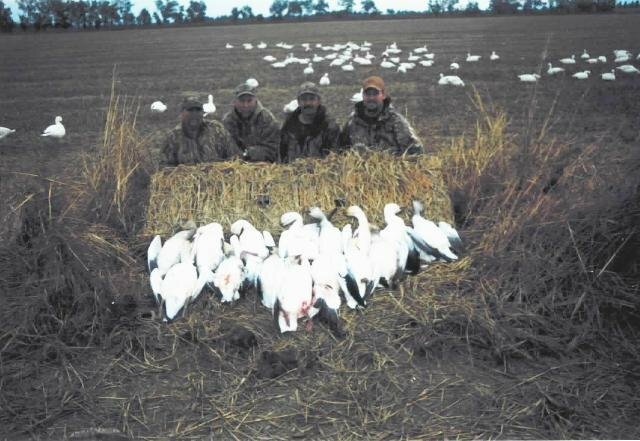 The 2009 /2010 season produced 1546 Geese out of this one location. 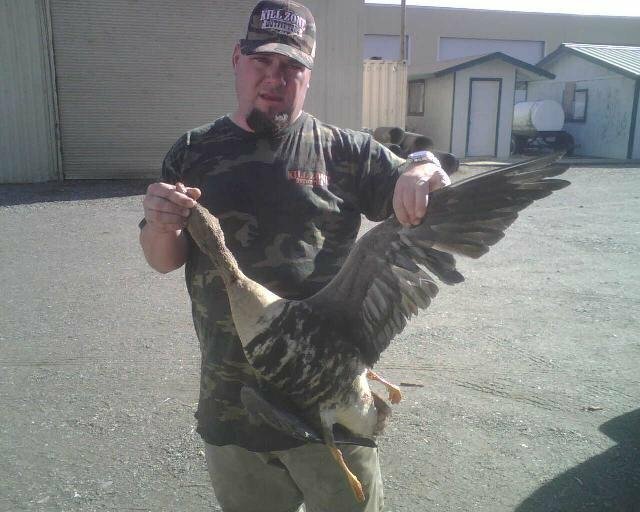 That makes for a 4.9 Goose average for the season. 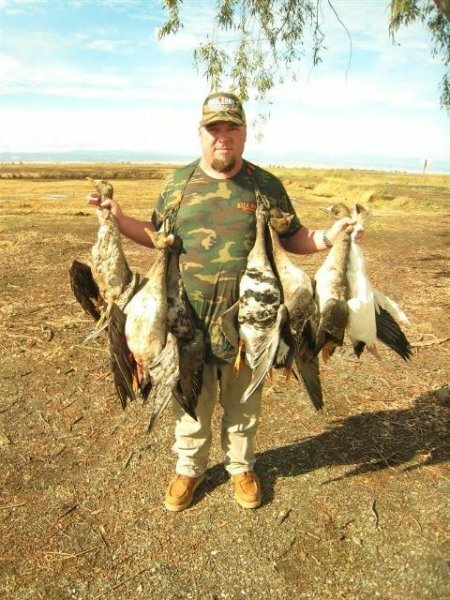 Please Call (530) 604-5583 for Kenny Begley. 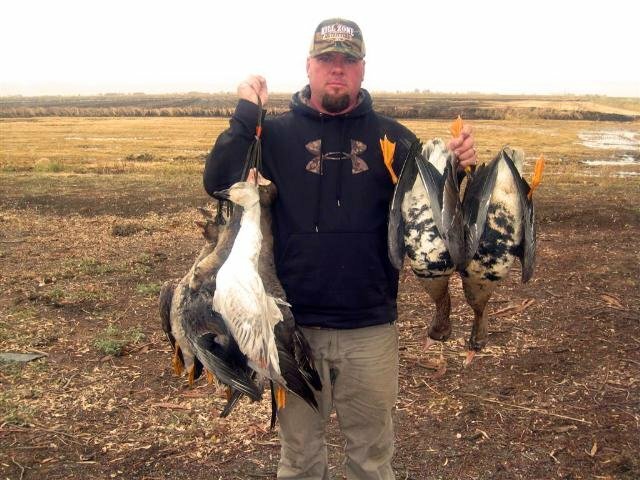 Ask for the Kill Zone Special. 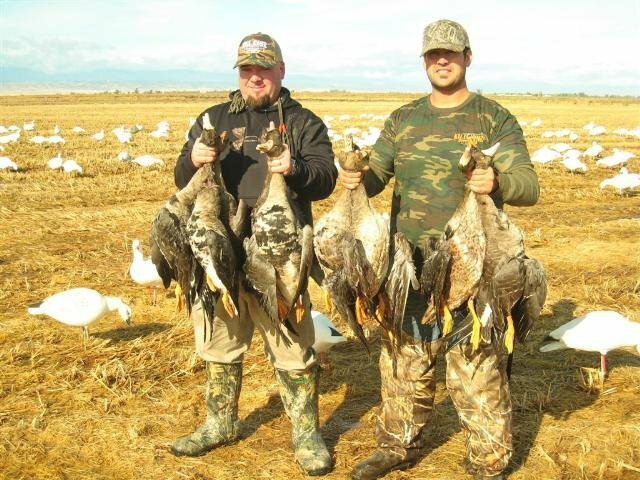 The best goose hunting usually takes place in the month of December. 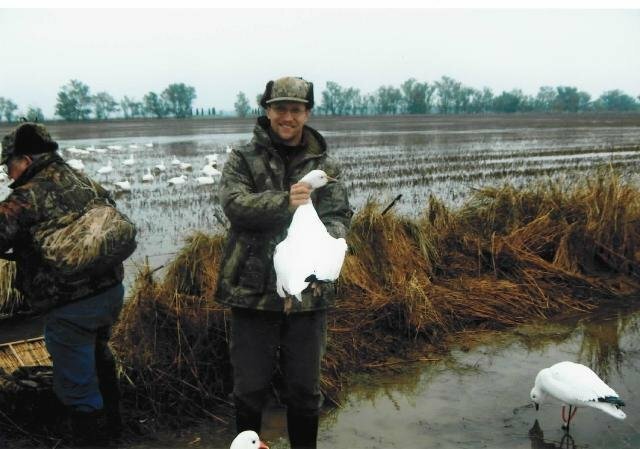 Although great hunting will prevail if there is any type of weather in the forecast. 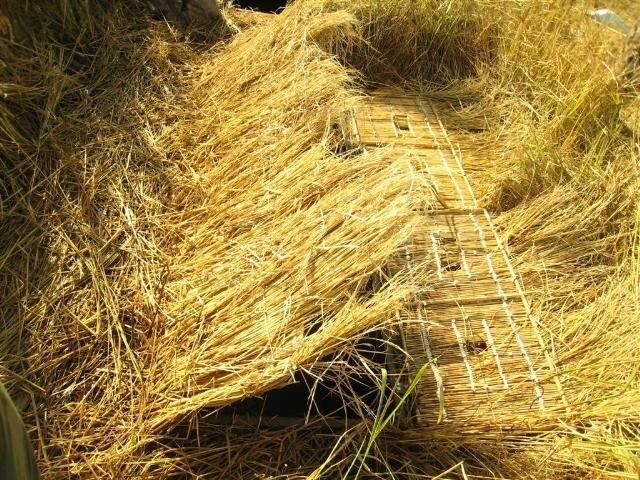 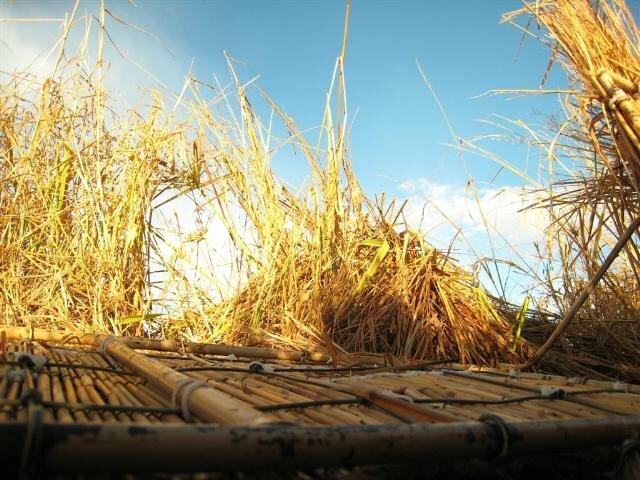 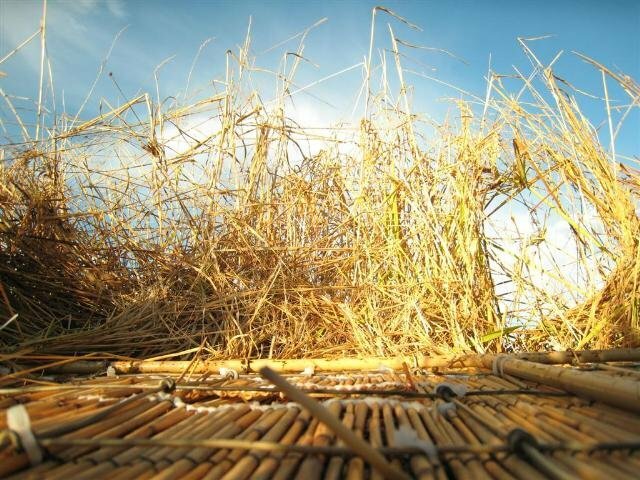 Our private rice fields, are easily accessible by foot and have years of proven success. 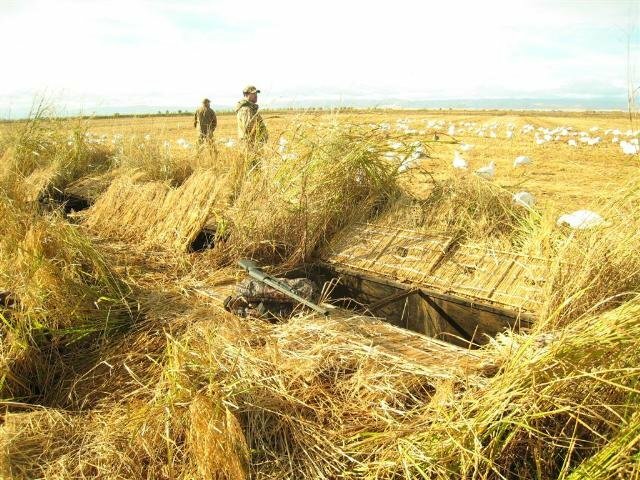 These rice fields are outfitted with the finest below ground pit blinds and over 1000 full bodied decoys. 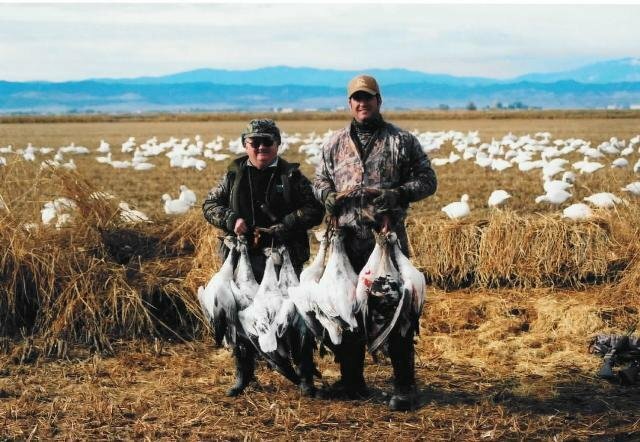 With over 30 years of experience in the area, our master guide will get you into some of the best goose hunting in the country. 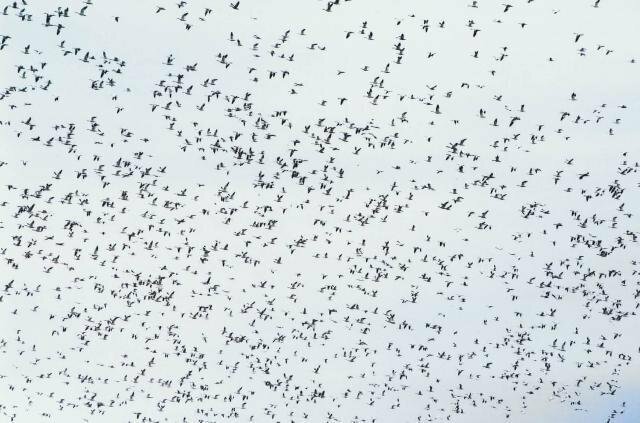 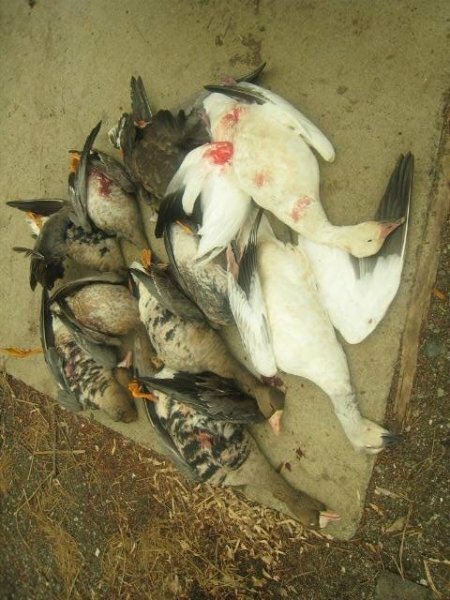 Most birds are taken within 15-20 yards of the pit blinds. 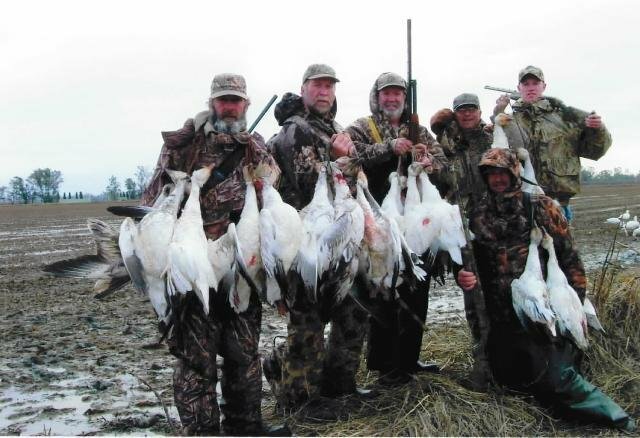 Included In Your Hunt: The hunt includes a full-time guide, blind for your group, calling & decoy service. 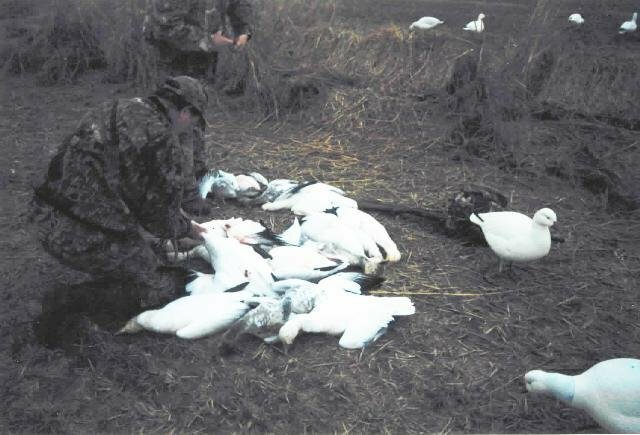 Hours Of Hunting: From Shoot Time Beginning (As Stated By CADFG Regulations) to 11:00 am. 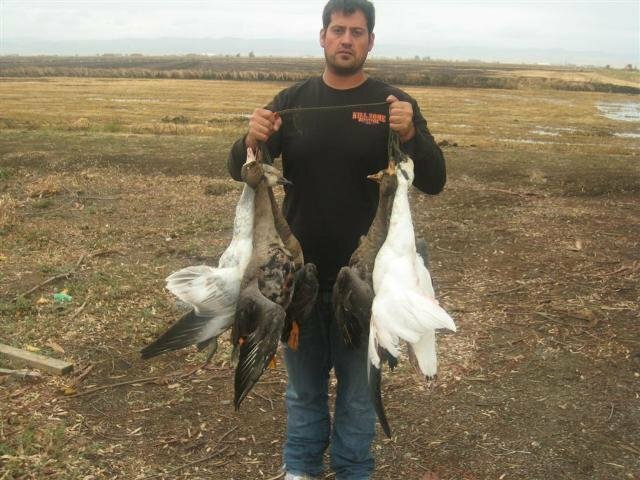 Hunters May Return at 3:00 pm for the evening shoot if limits are not filled in the morning. 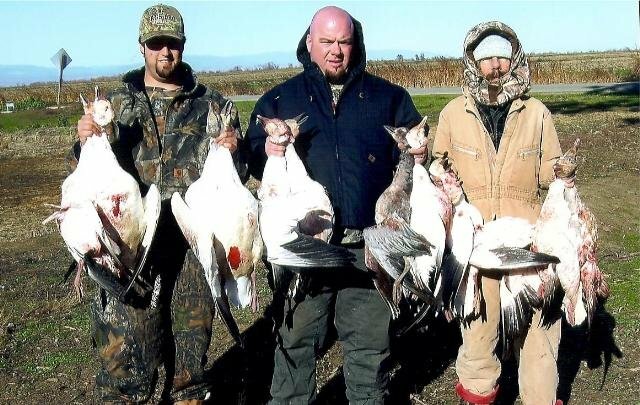 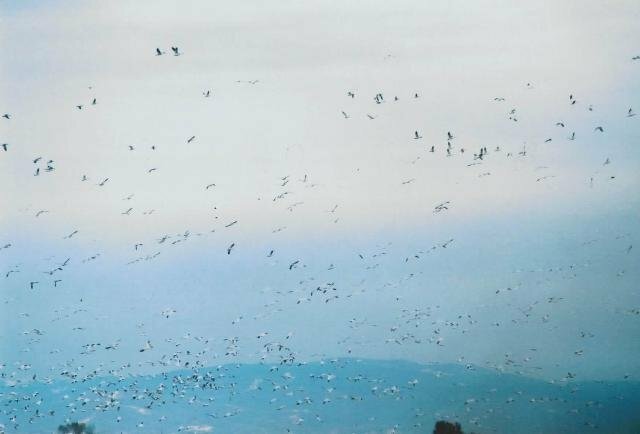 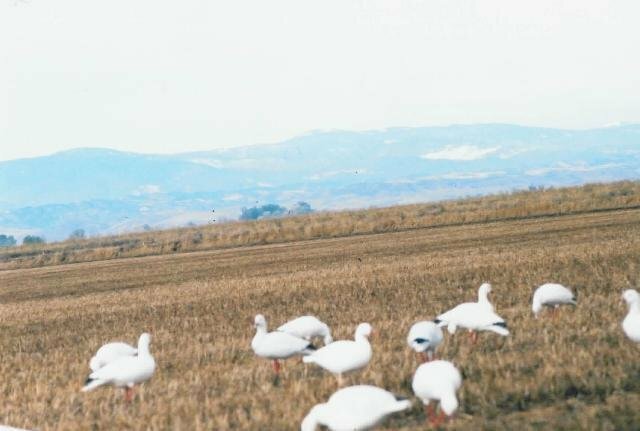 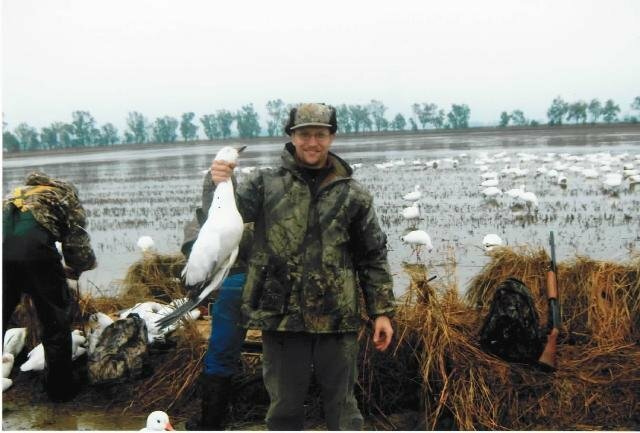 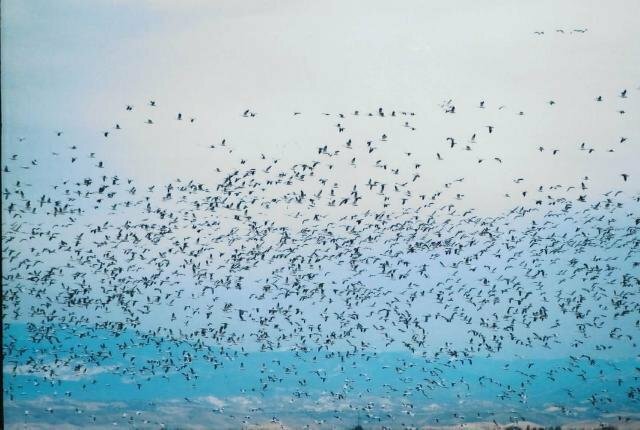 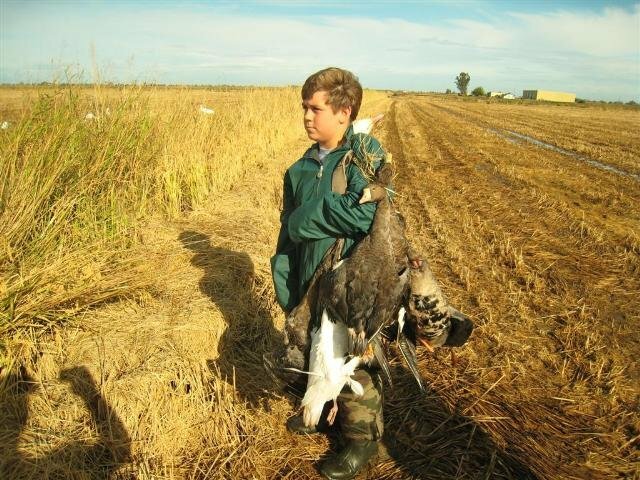 Species Hunted: Snow & Speckled Goose Hunt (Before Dec. 15th) SNOW GEESE ONLY DECEMBER 16th Onward. 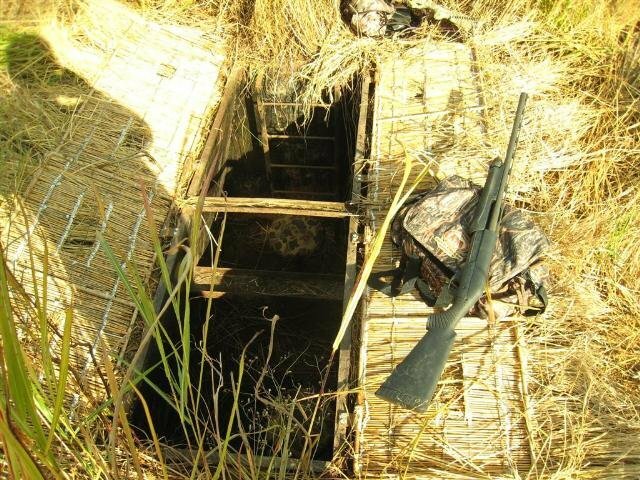 Blind Hunting : Steel below-ground pitblind ** Dogs Are Not Allowed At This Venue. 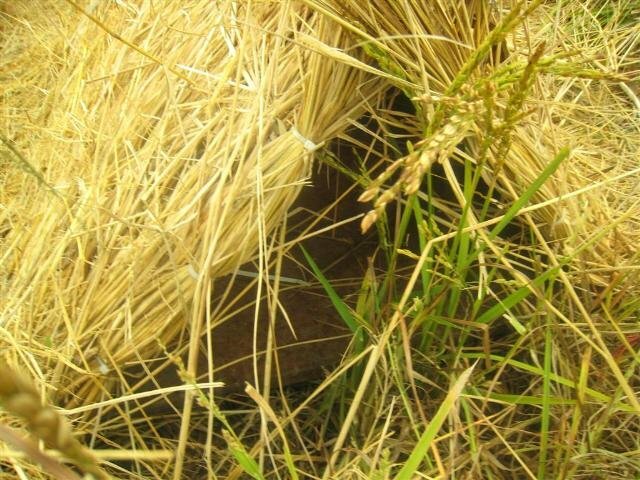 Recommended Camo: Advantage Max, Shadow Grass, Brush.